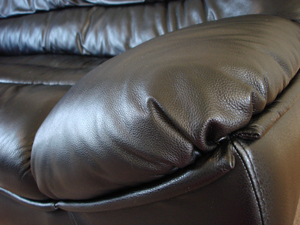 Sofa-Tech provides a swift and efficient on site leather, fabric and French Polishing repair service – professional and courteous service guaranteed. We are skilled craftsman with a positive attitude towards customer service. Our main goals are to ensure client satisfaction upon repairs undertaken and to help avoid costly furniture replacement. We are an independently owned company specialising in all aspects of furniture repair and restoration for both commercial and domestic customers. We repair scuffs, cigarette burns, stitching and tears. We also remove ink staining, adhesive and gum substances. Our expertise lies in colour matching and restoring your cherished furniture. Our Technicians always strive to complete all repairs on site, but for furniture that requires more complicated work then we have a fully equipped workshop which is able to accommodate this. Our company ethos: ‘The solution to damaged furniture is our priority’. "The company that was asked to visit us and look at the problem – Sofa-Tech were extremely efficient and repaired the problem; I am pleased at the response. Thank you."